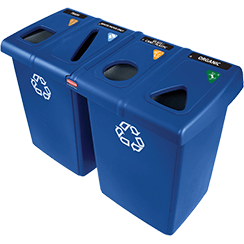 RECYCLEPRO VALUE UNITS are the next generation for recycling management. 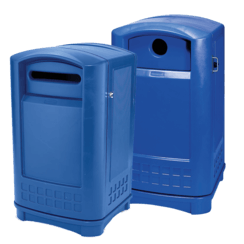 It is the only system of its kind. 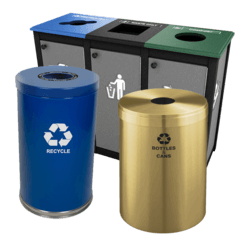 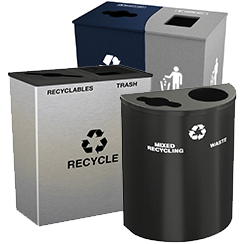 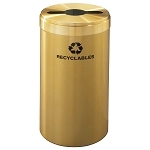 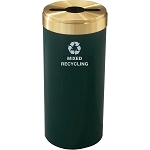 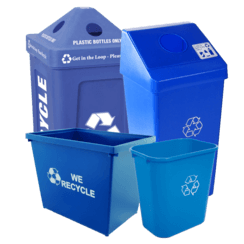 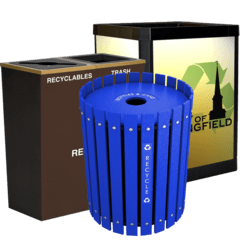 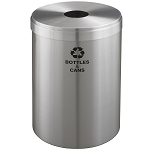 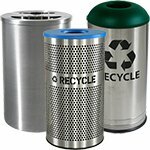 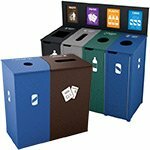 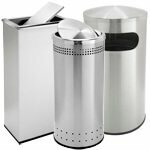 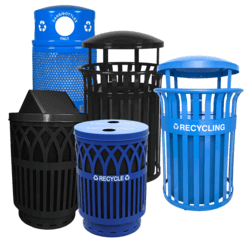 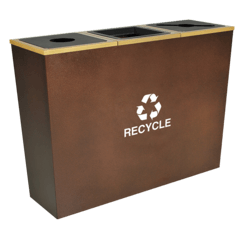 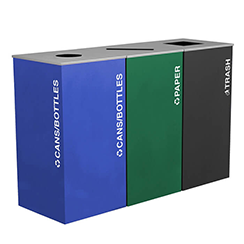 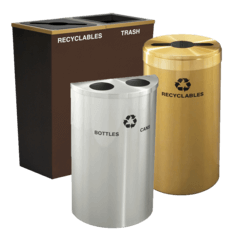 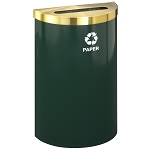 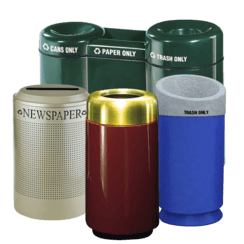 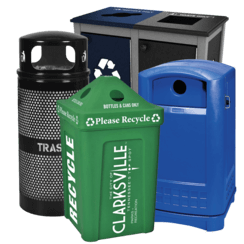 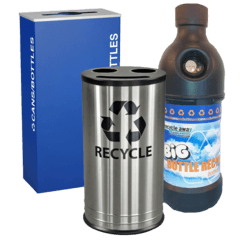 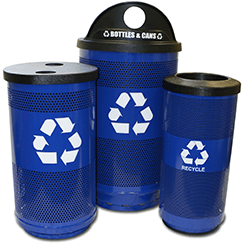 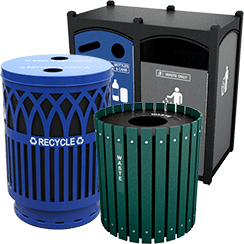 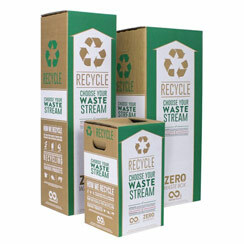 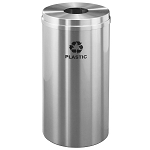 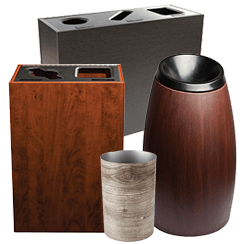 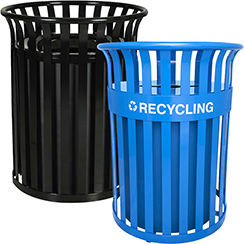 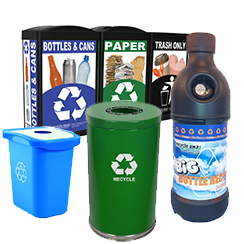 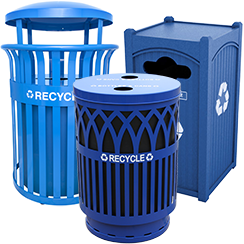 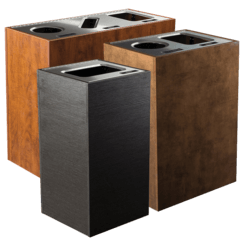 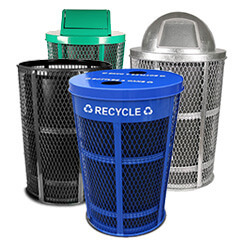 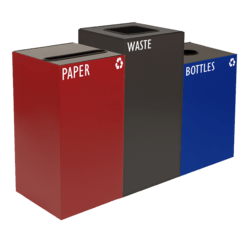 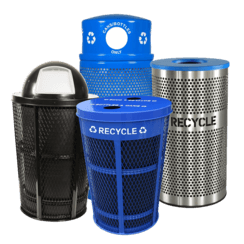 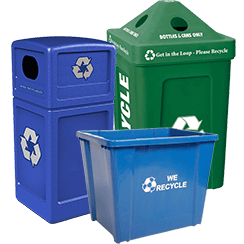 It is the largest, most diversified line of recycling receptacles offering an extensive selection of sizes, finishes, openings and silk screened messages. 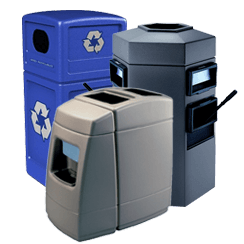 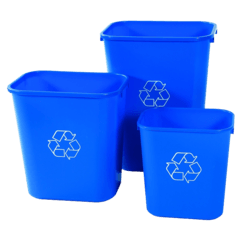 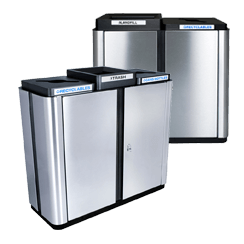 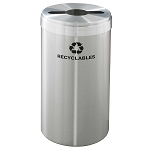 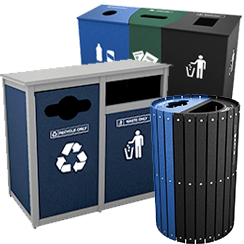 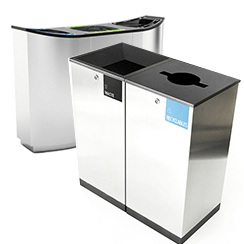 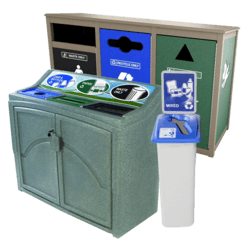 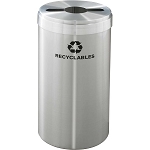 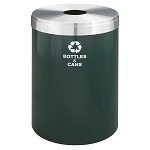 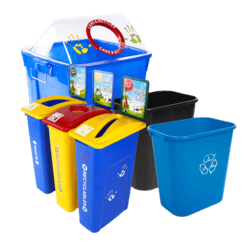 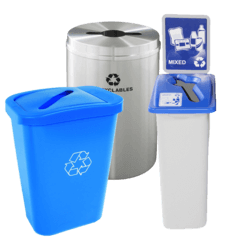 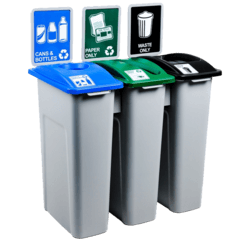 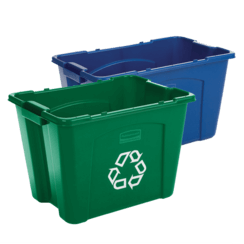 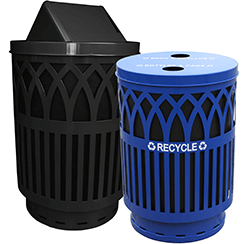 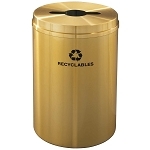 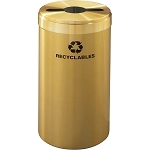 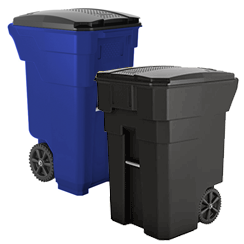 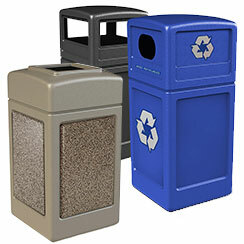 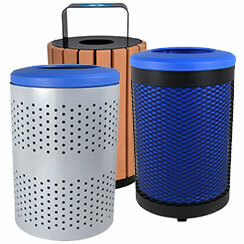 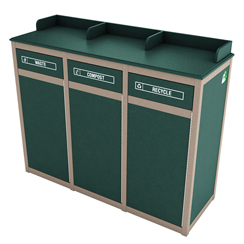 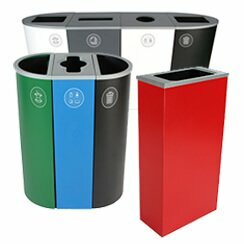 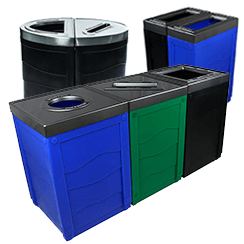 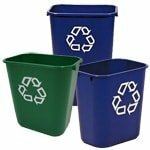 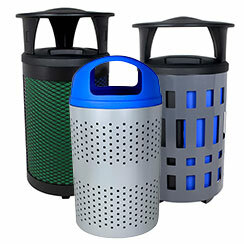 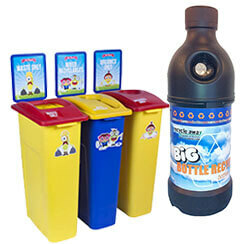 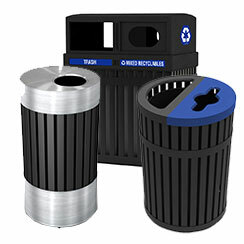 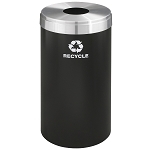 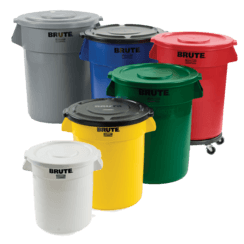 RecyclePro Value Units allows you to create your own recycling station with one or more receptacles. 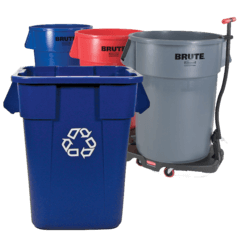 The Value Series was designed specifically for customers who desire that elegance and durability of the original RecyclePro line but have a limited budget. 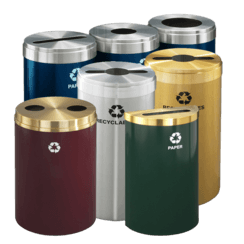 To accomplish this, the need for an additional inner steel container has been replaced by using heavy gauge custom sized clear poly bags that are designed to have a snug fit. 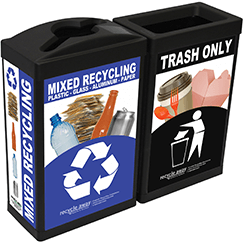 Custom-sized poly bags are easily pulled over the top up to a clearly marked guide-line provided on the outside of each receptacle near the top. 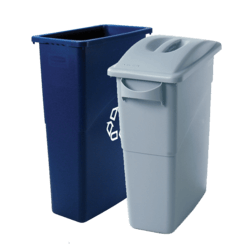 When the receptacle cover, which has an extra long overlap, is placed on the body, the poly bag is completely concealed and secured in place.